Laurie Piper from Moray Speyside Tourism is pictured at the toilets in Findhorn beach in Moray. Public toilets in Moray could be installed with wi-fi and tourism information screens in an effort to keep them open. Laurie Piper, operations manager for Moray Speyside Tourism, wants to work with the local community and the council to transform the facilities to secure their future. He has suggested installing the internet and a tourism information screen for visitors that would have transport times and suggested attractions. However, Mr Piper believes a lot of work needs to be done to remove the threat of closure hanging over several of the facilities. He said: “I believe that with the right people sat around the right table we can secure the future and improve the current model for public toilets in the region for the benefit of both tourists and locals. “Introduce a moderate charge to use them and make it easy to pay by using contactless and make sure any surplus income from them is given back to the community. There are 18 public toilets run by the Moray Council, but with cuts always looming, it is likely the fate of the facilities will be debated again next year. 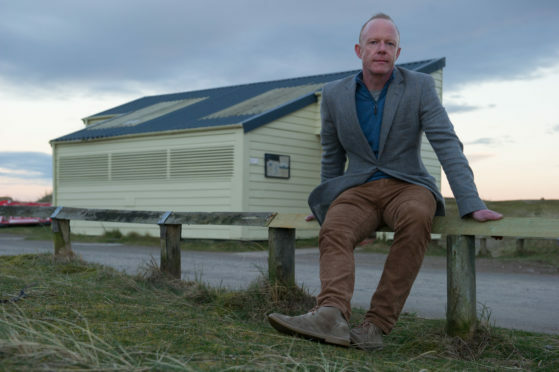 Mr Piper has presented his ideas to the Moray Joint Community Council (JCC) and insisted that with the right amount of funding and organisation, it could secure the toilets – and keep visitors coming to the region. Carolle Ralph, vice-chairwoman of the Lossiemouth Community Council, said that locals were looking into every possibility for saving the vital public toilets. She said: “We are currently looking at some sort of consistency about how we can approach the public toilets in and are coming up with ways to make them efficient and attractive.